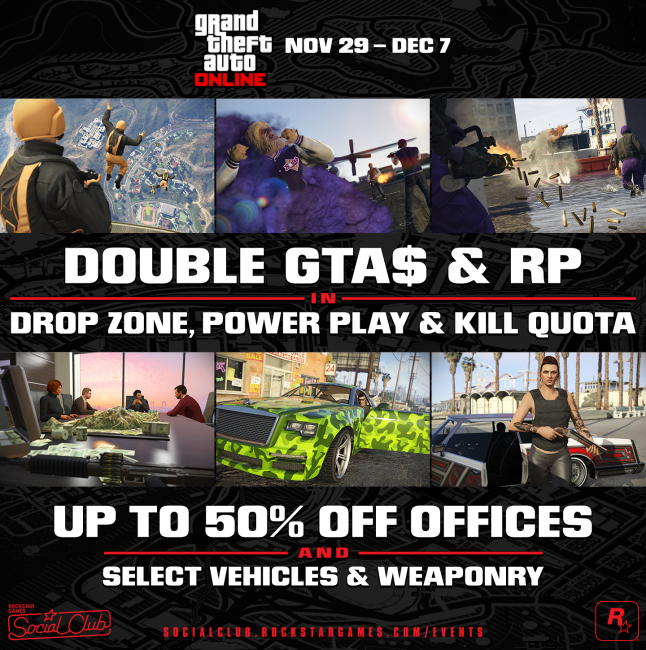 Drop in to GTA Online this week and power up with bonus Double GTA$ and RP in Drop Zone, Power Play and the newest Adversary Mode, Kill Quota. Plus, take advantage of various discounts designed to take your criminal enterprise to the next level. 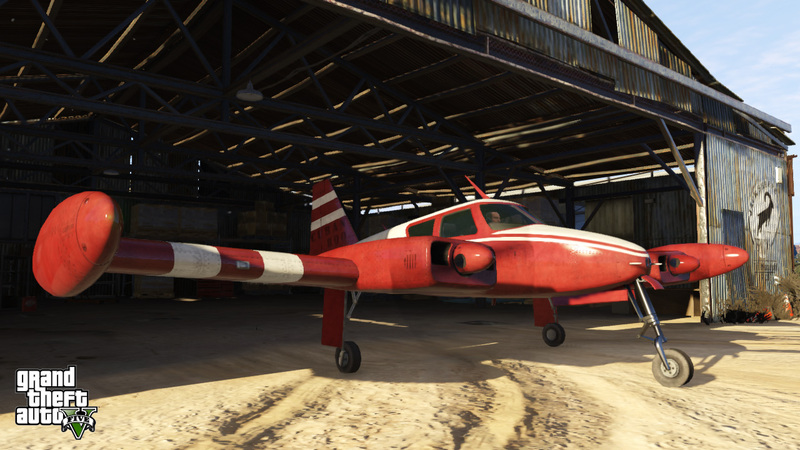 Also, player-created Deathmatches, Last Team Standings, and Captures get a big boost with the addition of Stunt Props to the GTA Online Creator. Satisfy your paratrooper fantasy in Drop Zone or let your inner Beast run amok in Power Play, both of which are delivering Double GTA$ and RP now through December 7th, along with ongoing Double GTA$ & RP in Kill Quota, also running through December 7th. Every boss needs a killer pad and ample suite of weapons to keep the competition in check. Bolster the style and security of your operation with various discounts on Executive Offices, vehicles and weaponry this week. Duck and dodge death in this week’s Premium Race, "Turbine" locked to offroad vehicles. Zip around the treacherous wind farms of RON Alternates and earn big... with Triple RP for all participants and substantial GTA$ prizes for the top three finishers. To access the Premium Race, enter the yellow blip at Legion Square or via the Quick Job App on your in-game phone. Double Cash Modes, Creator Tool Update & More - Stunt props get added to the creator plus this week's discounts and bonuses.